"The 1975 A.L. 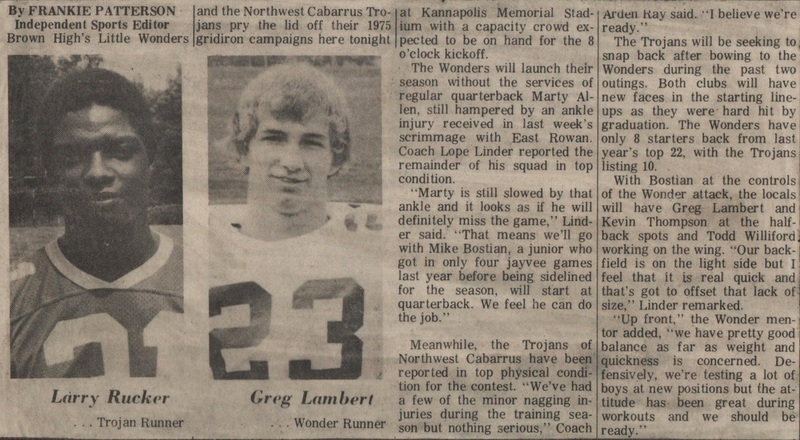 Brown Little Wonders"
The year is 1975, and the Little Wonders of Kannapolis were just coming off back to back 7-2-1 seasons in 73, and 74 entering into the second year under head coach Robert "Lope" Linder. 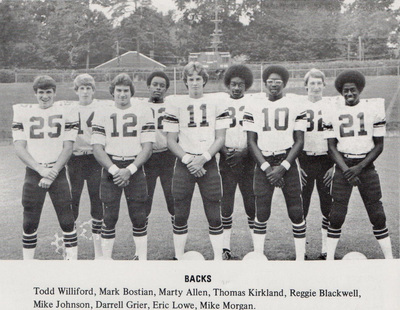 The Wonders were looking at the text book definition of a rebuilding year as many of the standouts from the 1974 squad had left for college. 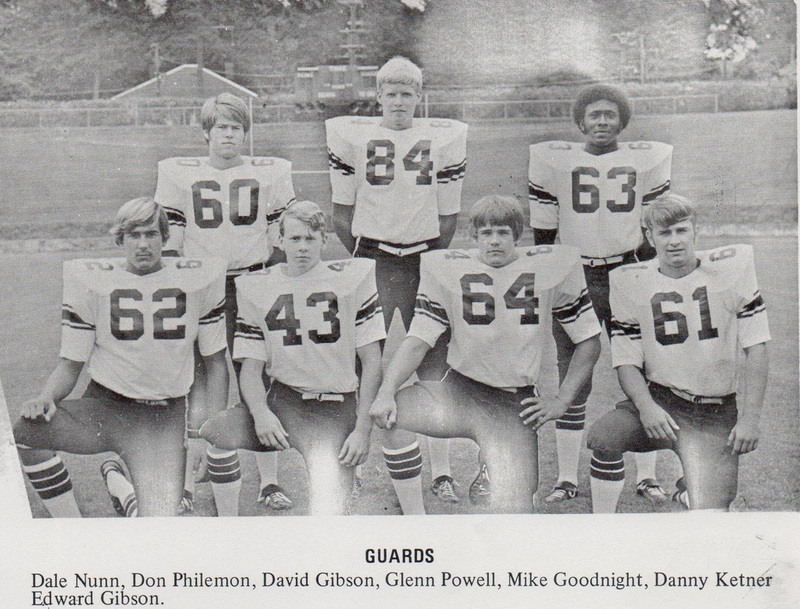 Many greats such as Tim Davis, Tim Roseman, Terry Cunningham were beginning their freshman years in college while the remnants of the 1974 team along with new members just up from the JVs looked for some type of cohesiveness within the starting eleven. This year would be the beginning of a three year period I like to refer to as "The years that tried Wonder spirit." 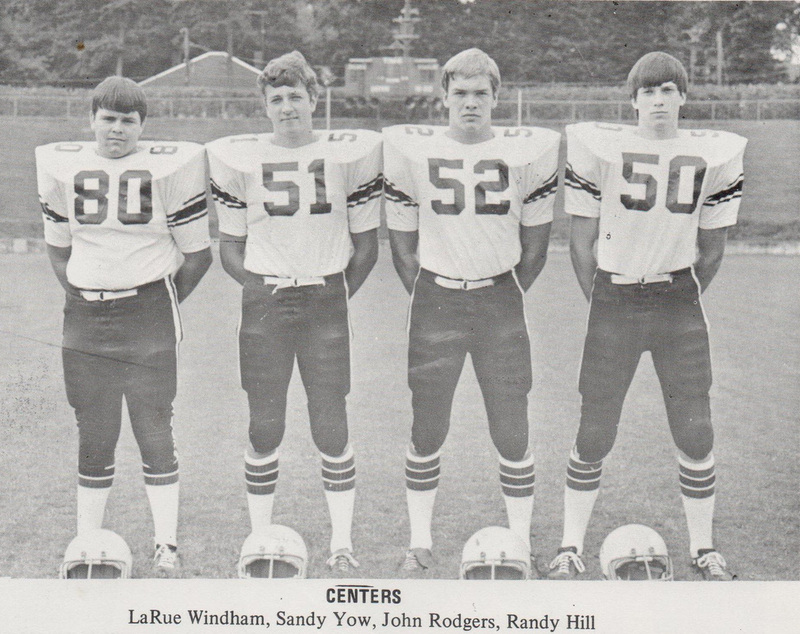 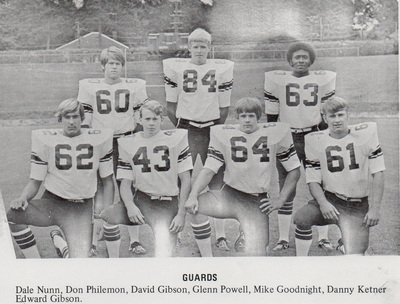 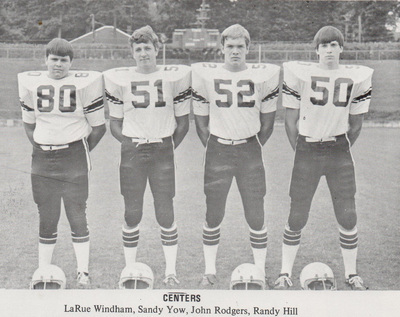 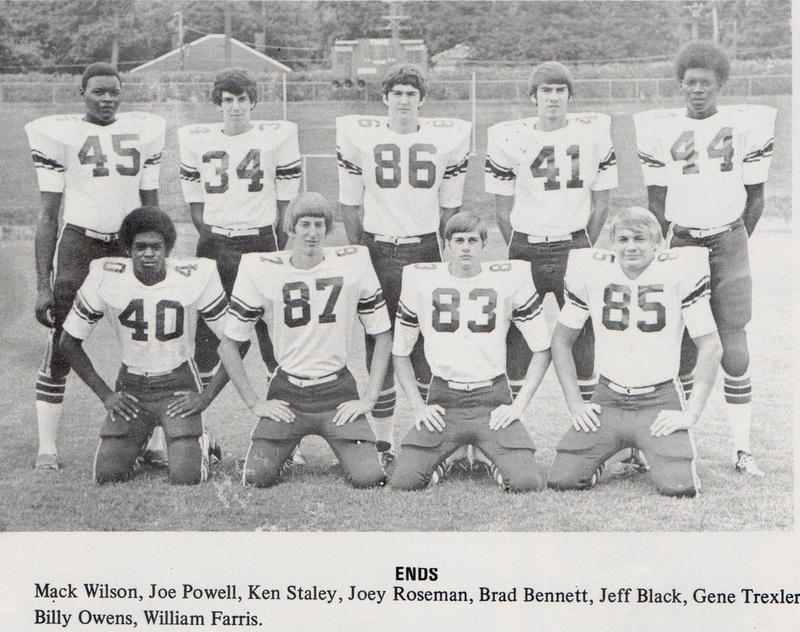 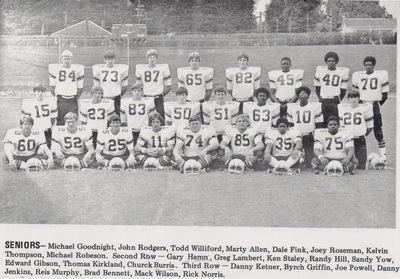 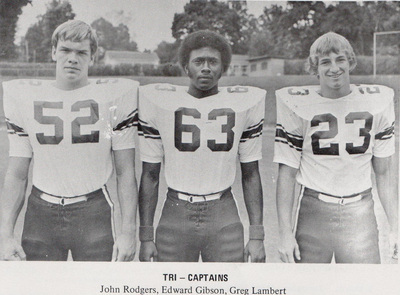 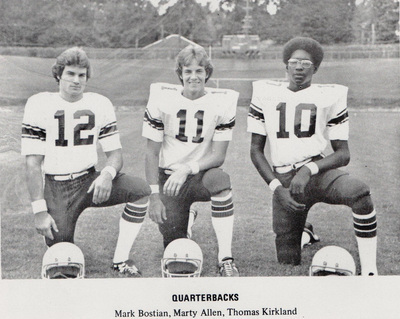 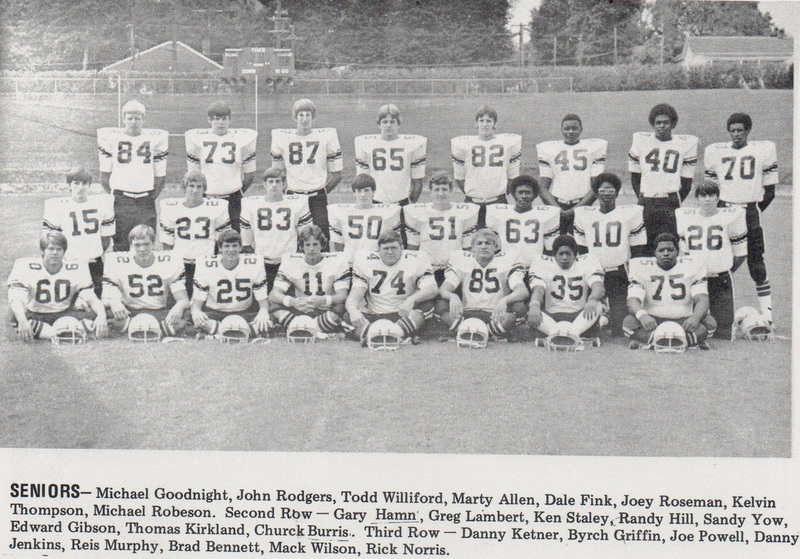 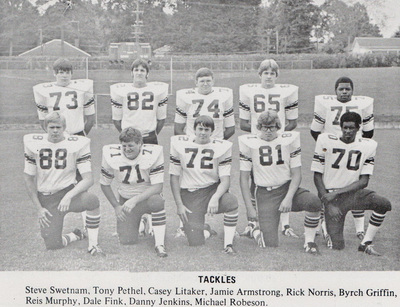 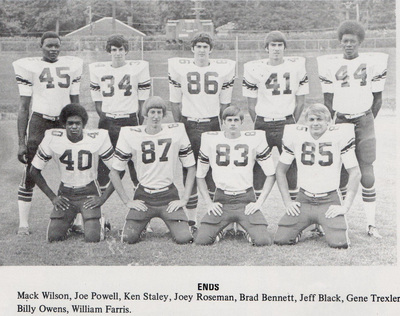 Tough times would begin right away as the Wonders would first run into a very tough Trojan squad from Northwest Cabarrus who were just one year away from almost winning it all in 1976. 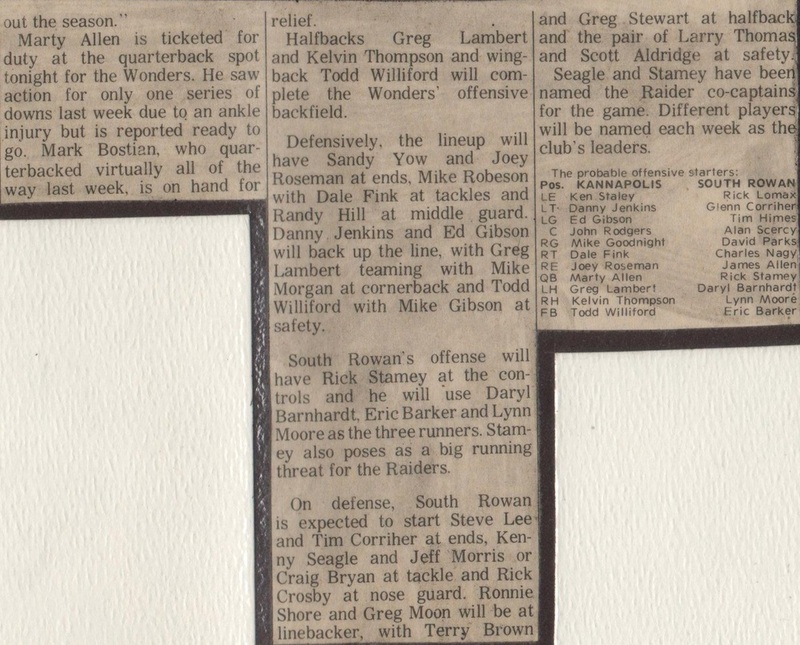 Offensively the Wonders would be looking for help from running backs Greg Lambert, Darrell Grier, Kelvin Thompson, and Randell Norris, and defensively from Tony Pethel, Danny Jenkins, Mike Robeson, Bradford Bennett, Todd Williford, Dale Fink, and Joey Roseman. This would not be an easy year as many of the SPC teams had improved from the 1974 campaign. 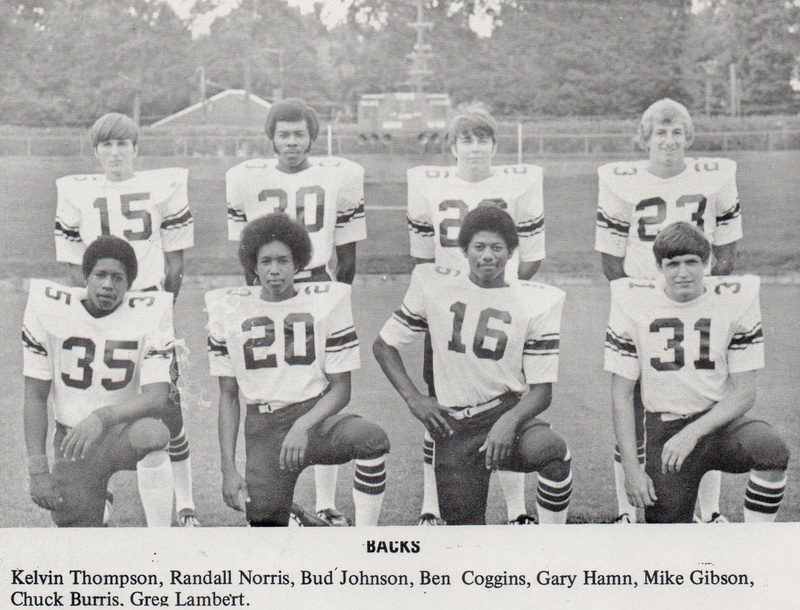 Concord looked poised from the beginning to take the SPC crown returning almost everyone from a shocking 1974 squad that defeated the highly favored Wonders in that game 14-6 at Memorial Stadium. 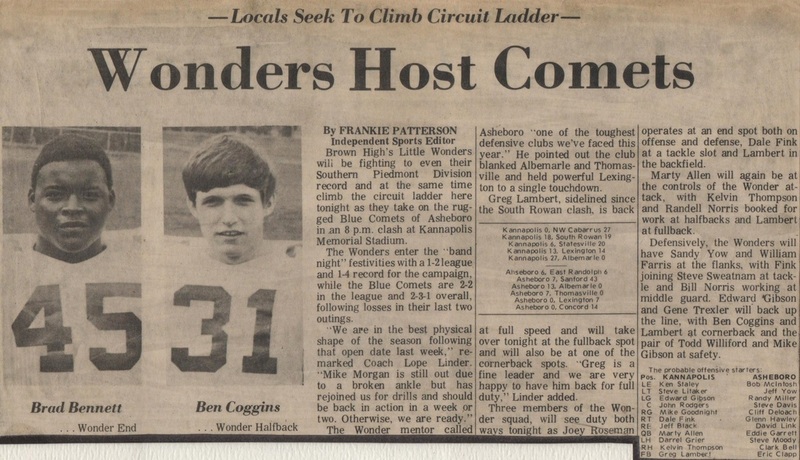 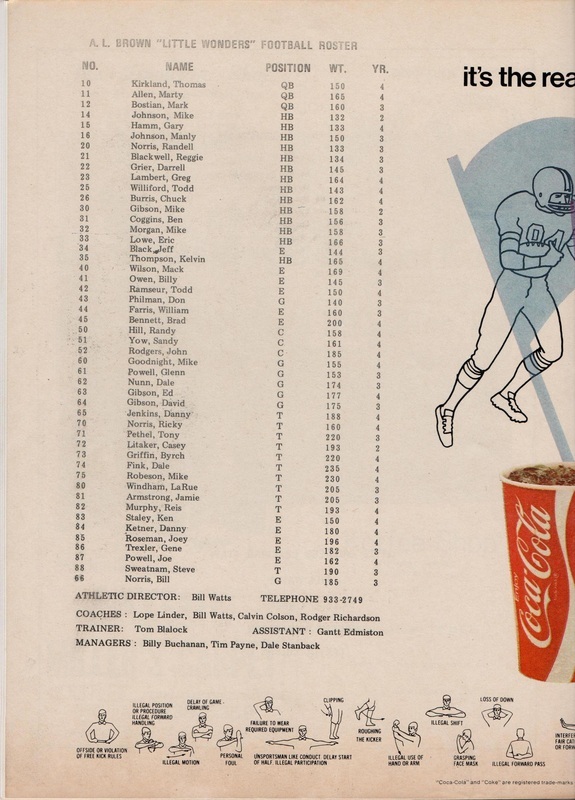 Wonder nation was optimistic going into the 1975 season, but many questions remained to be answered as the season began, and nobody knew for sure what kind of team would show up every Friday night. 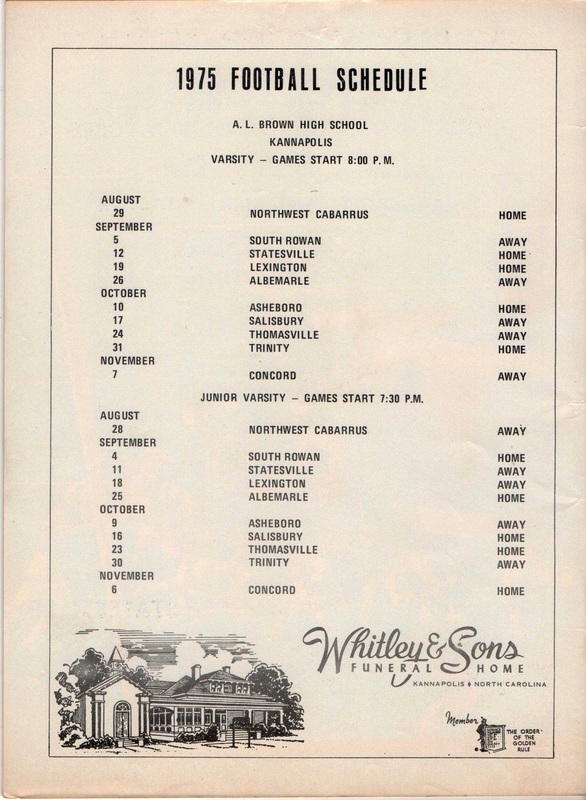 Several things were for certain during this time. 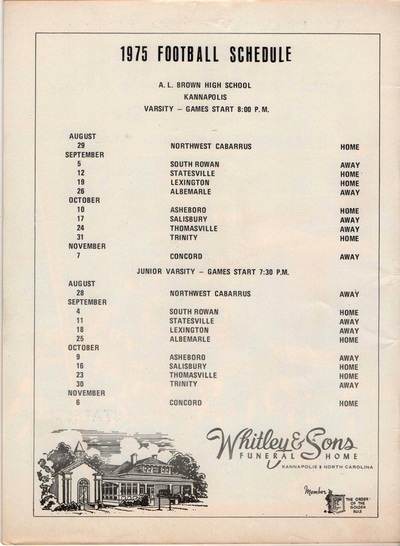 The stands were going to be full, the fans were going to travel well, and the band was going to be on every Friday night. 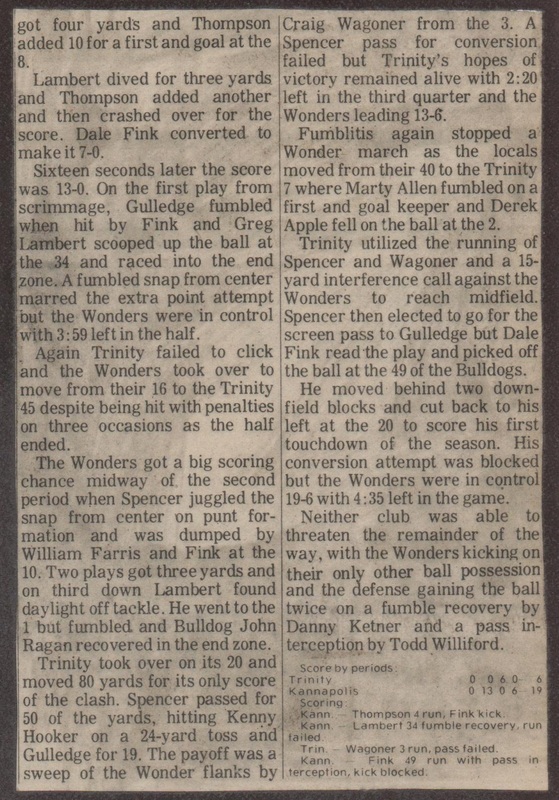 This is just how it was during this period in Wonder football history. 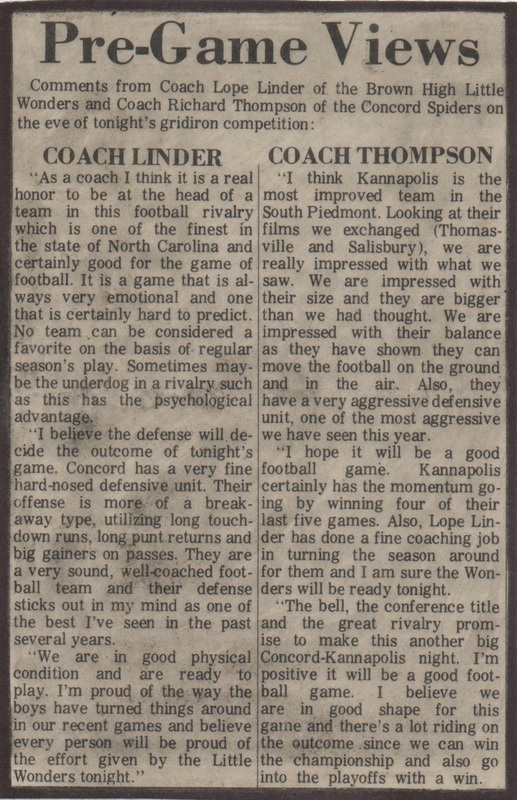 Lets take a look at how this season unfolded, and just how sweet victory can be when it comes so rare! 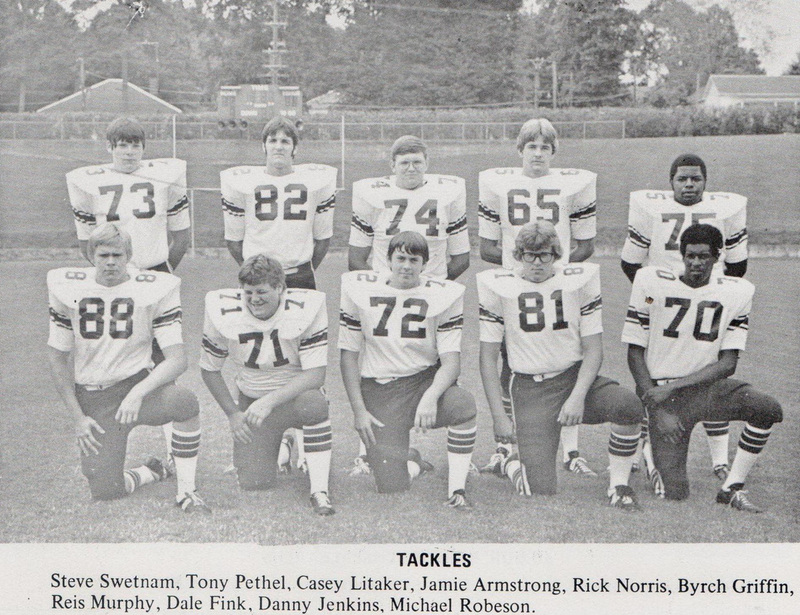 "LLLLLLets Get Ready to RRRUUUMMMMBBBLLLE"
"The 1975 A.L. 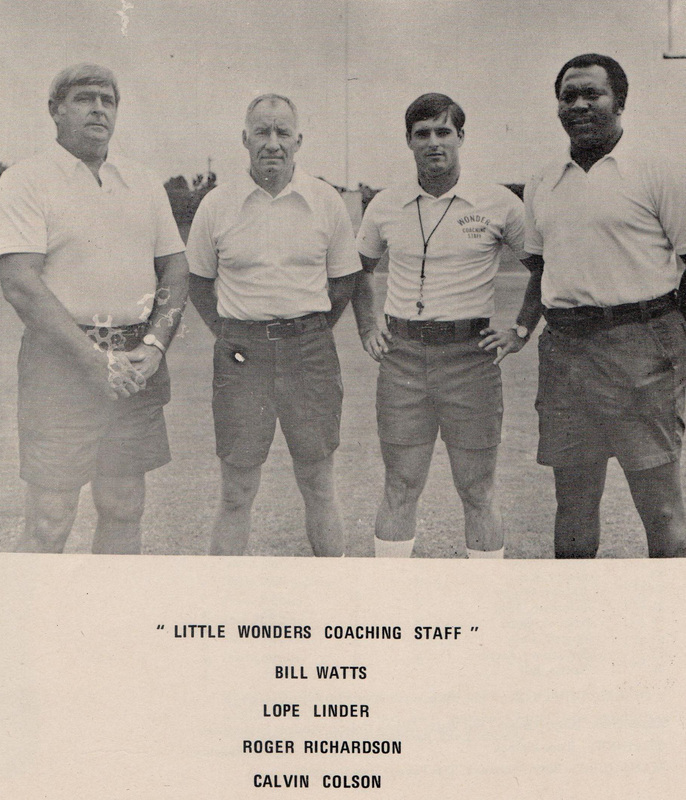 Brown Wonders"